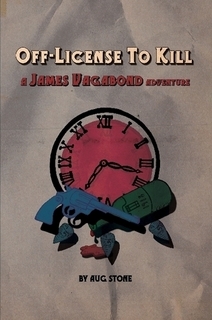 My ‘entertainingly deranged’ comedy novel, Off-License To Kill, available in paperback and e-book. James Vagabond, star agent of Britain’s Drunken Secret Service, is sent back in time to stop U.S. Prohibition from ever happening. With help from the delectable Cherry Waters, he’s going to save America’s drinkers from a fate worse than death – enforced sobriety. But can they defeat the infamous Dr. Hoo-Nose, who has other plans for an unsuspecting 1918?